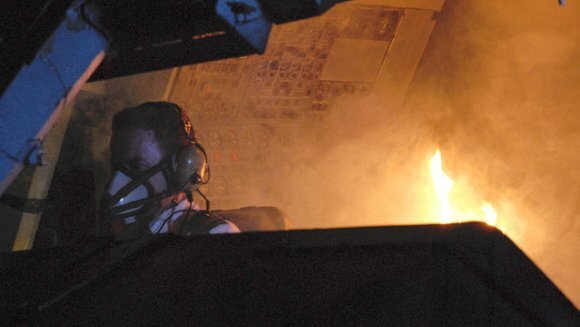 During flight a fire, which was extinguished, burned the insulation from a transceiver wire. What action is required by regulations? A report must be filed with the avionics inspector at the nearest FAA Flight Standards District Office within 48 hours. An immediate notification by the operator of the aircraft to the nearest NTSB field office.